AshleyNewell.me: Mani Monday and a Jamberry Giveaway! Mani Monday and a Jamberry Giveaway! Hi friends! I hope that you are all well. We are ok. We have a heat wave and that's really annoying because we still don't have air conditioning in the van. It's AWFUL when it's 100 degrees. Seriously. I hope this is the last of the heat for this year. 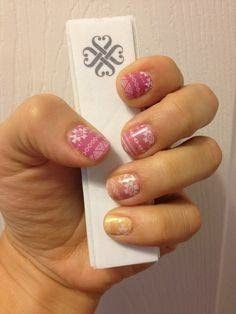 Today, I'm featuring a Jamberry manicure that I am loving! How cute is this combo? I really love mixing and matching for a fun and funky look! I'm wearing the Leopard, Midnight Sky, and the gold and white glittery letters was a special for August. It's so cute and it lasts just under 2 weeks. 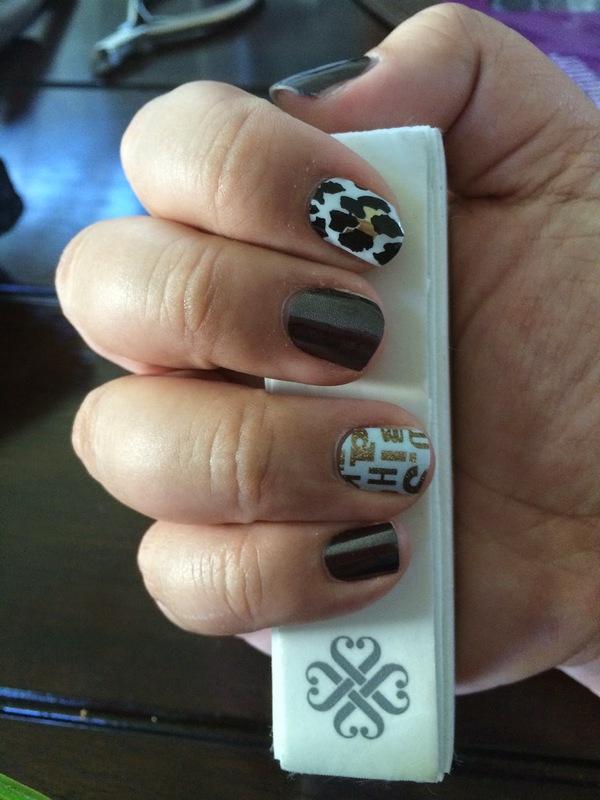 Soooo, if you are looking for a Jamberry consultant, check out my friend Ali's Site. She is AMAZING! She had a fundraiser for Unravel last month to help out my Flutter Campaign and she donated $125! Can you believe that?!? She also has GREAT tips and tricks on how to apply Jamberry for the best wear and she even has a GIVEAWAY going on her Jamberry Facebook Page where when she hits 100 likes, she's giving away a Jamberry Nail Lacquer. LOVE the first mani! Very creative! i have morning dew drop i think is what it called it blue background with white flowers. it a retired one. I think its called luna and some dark blue nail polish. Thanks for doing this Ashley! I'm so happy you're getting the word out about Jamberry! Thanks for the chance Ashley!!! I have nothing on my nails right now. Yes, please email me using the email in the right sidebar to collect your prize.